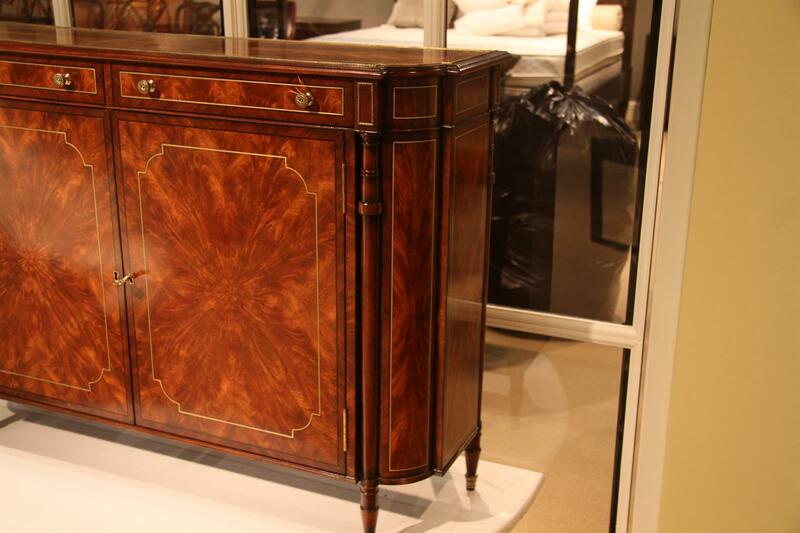 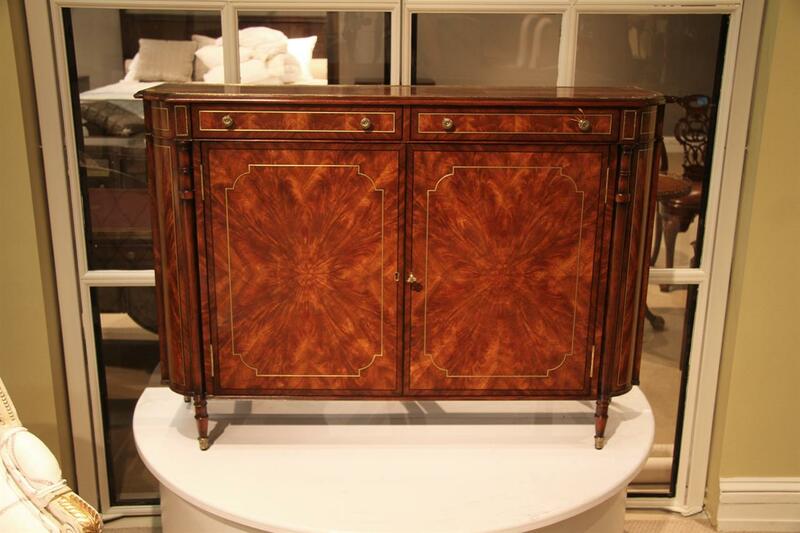 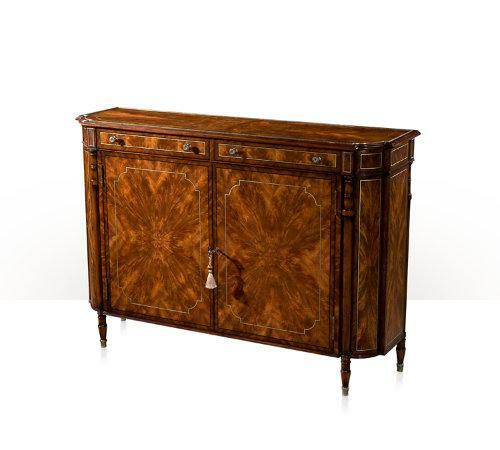 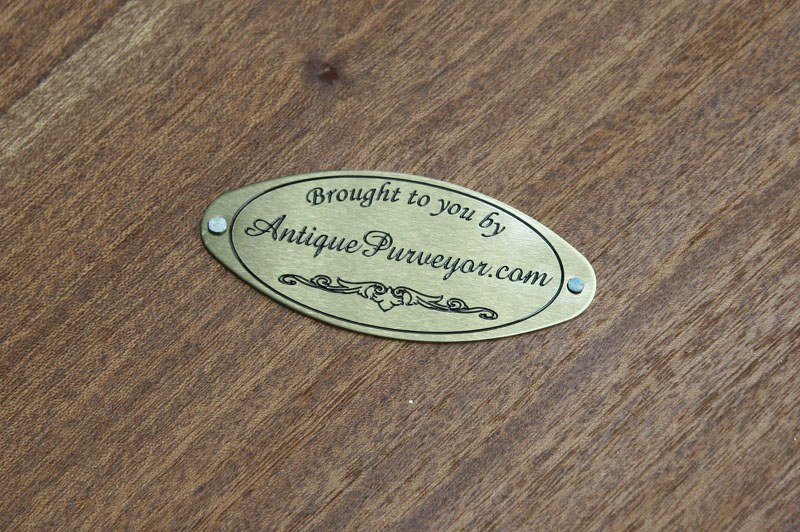 Description: High end, fine flame mahogany side cabinet or console with brass inlays. 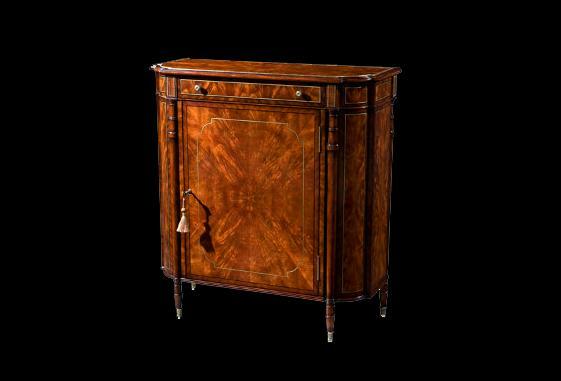 A Regency style side cabinet which can be used as a console table, buffet or sideboard for a smaller dining room. 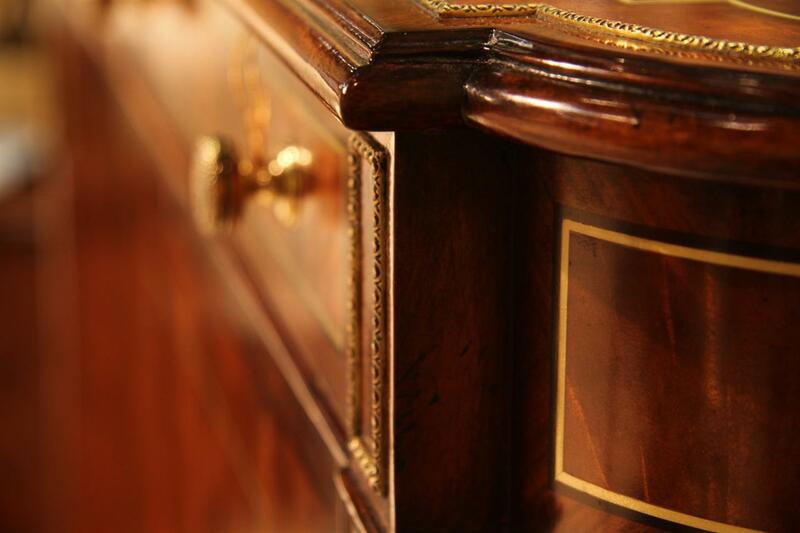 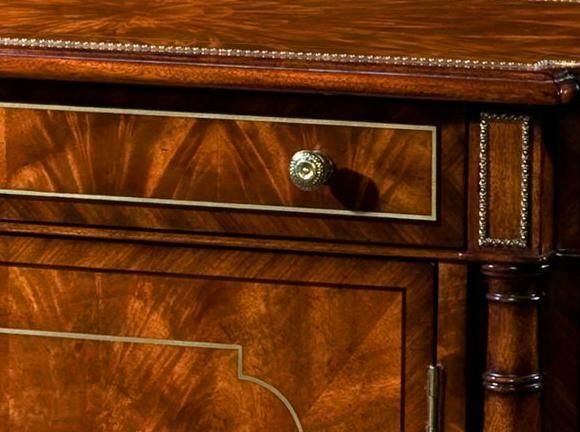 Heavy cabinet and decorated with beautiful flame mahogany Veneers using traditional 19th century methods. 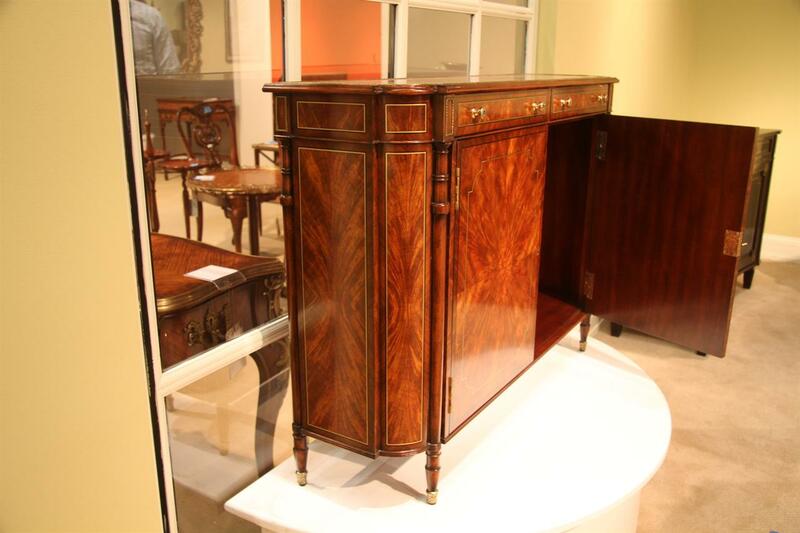 Unusually narrow cabinet perfectly fit for smaller spaces. 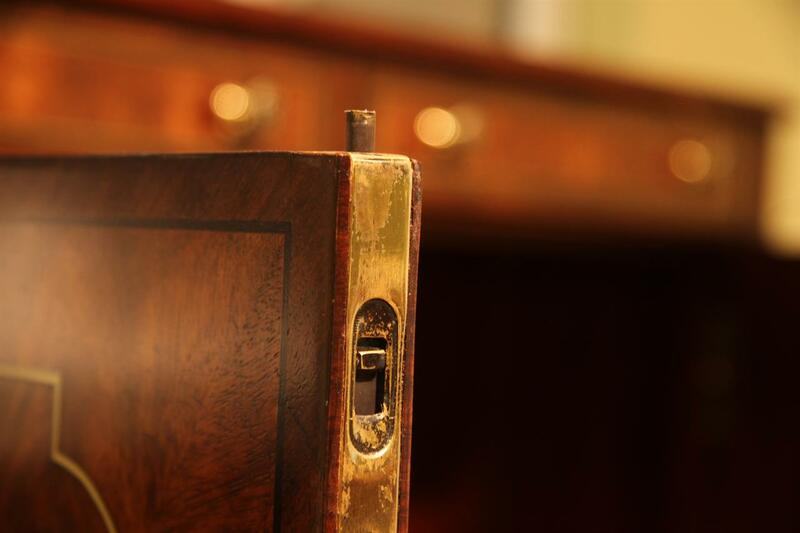 Two locking doors flanked by solid mahogany upright columns and rounded re-entrant corners. 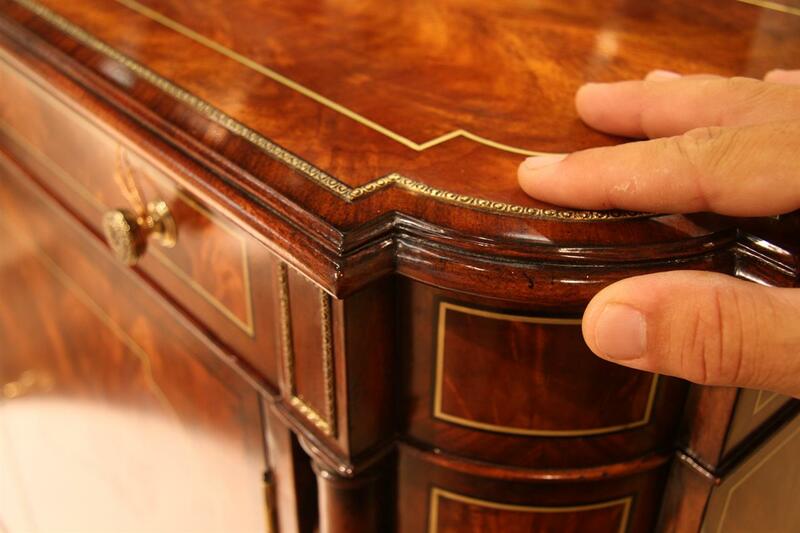 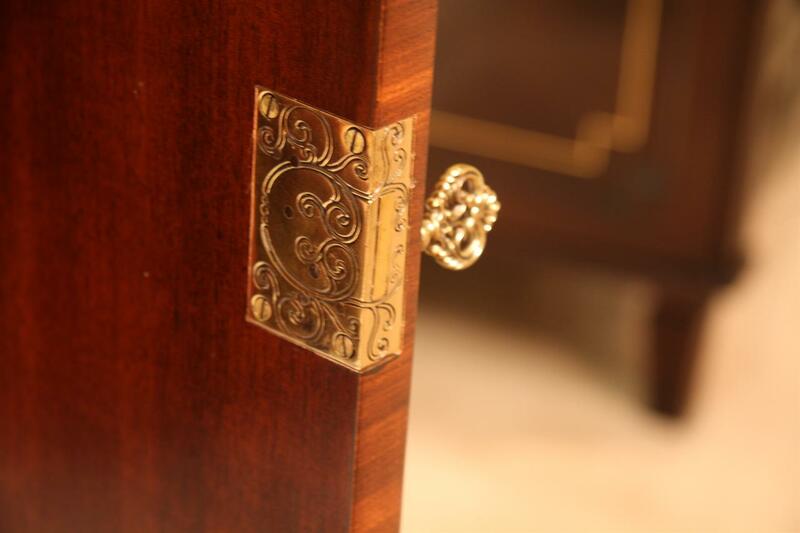 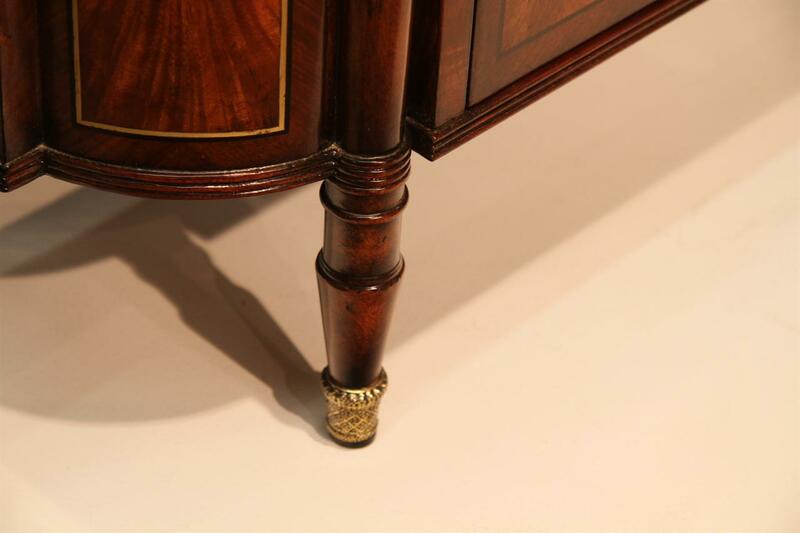 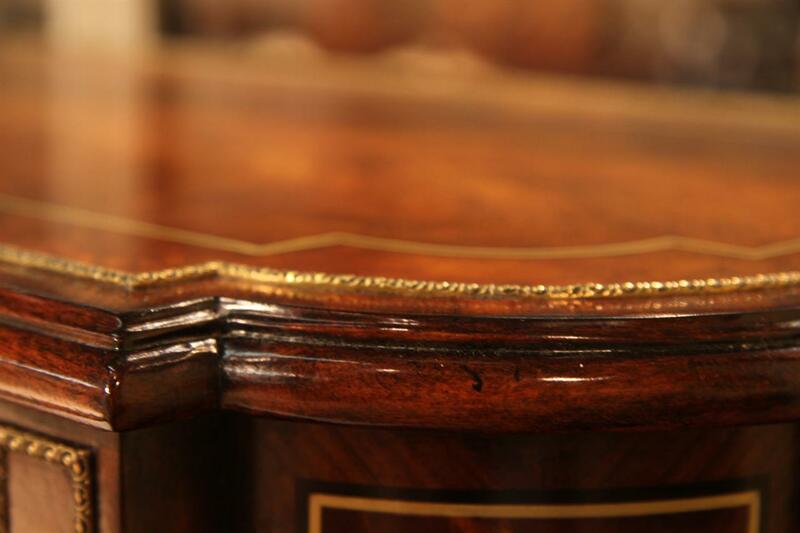 Fine brass pin stripe inlays and brass relief mounts..
A small luxurious mahogany dining table w self storing leaves.